In various industrial precise device manufacturing work fields, it is just a quite nice solution for users to obtain super clear dot measuring result with the assistance of a high brightness green dot laser alignment. It is keeping generation of highly clear and stable green reference dot targeting from laser beam aperture. Unless its operation under sunlight, this wide range output power made green laser module would always make sure of highly clear and accurate dot instruction at quite long distance and high lighting working occasion effectively. On basis of quite compact structure design and convenient installation on any targeting surfaces, it is just taking the lowest time consumption to achieve highly clear and rapid to measurement perfectly. Instead of the use of alkaline battery power source, green dot laser alignment is employing external DC input power supply. It is available with wide range output power from 5mW to 100mW. When electric power source is accepting wide range electric current voltage of 100V to 240V to 3V or 4.2V DC input power supply, this laser diode module is just workable with highly clear and bright green reference dot on all surface efficiently. Owing to quite special design with high temperature and corrosion resistance, the genuine laser dot alignment work is also bearing quite harsh working occasion, such as strong interference or strong static etc. In order to assure quite clear dot positioning results in distance, green dot laser alignment is just employing excellent glass coated lens. It is making perfect cooperation with advanced 532nm green DPSS laser tech, maintaining quite high laser beam transmittance and compact diameter green reference dot targeting in distance. According to very easy adjustment of laser beam aperture part, intense green laser beam is temporarily concentrated into a quite small size green dot in distance. After quite strict and up to 24 hours continuous aging preventing test, this laser diode module is just keeping the clearest dot generation, without any appearance of laser light decay or blur in long term use. Owing to quite compact structure design and durable structure, whatever kind of industrial or high tech dot measuring work, green dot laser alignment is always getting quite easy and convenient installation and adjustment of both laser beam focus and dot targeting direction. Noncontact green alignment laser dot targeting always makes sure of no barrier caused by long distance, high height, or other hard reaching places etc. Whenever it is generating extremely intense green laser beam and thermal energy, users should remember to wear 532nm wavelength preventing laser safety glasses, and then obtaining high security dot measuring result perfectly. If there is quite serious need of super accurate dot measuring result at quite long work distance and quite high lighting working occasion, it would be the most challenge job for users before selecting a correct dot measuring tool as expected. When laser tech engineer is developing high power 200mW green dot laser alignment, it is not simply used for formal and temporary dot positioning work. On contrary, after its easy connect with a DC input power supply, this high power 532nm green laser module is mainly workable for accurate dot instruction for all kinds of industrial and high tech dot measuring work effectively. On basis of quite high brightness green laser beam emitting from laser beam aperture, high power 200mW green dot laser alignment is generating super visible green laser beam at several miles far away, which is just able to work with clear enough green reference dot targeting at quite long distance as well. This laser diode module is also being designed with adjustable focus. 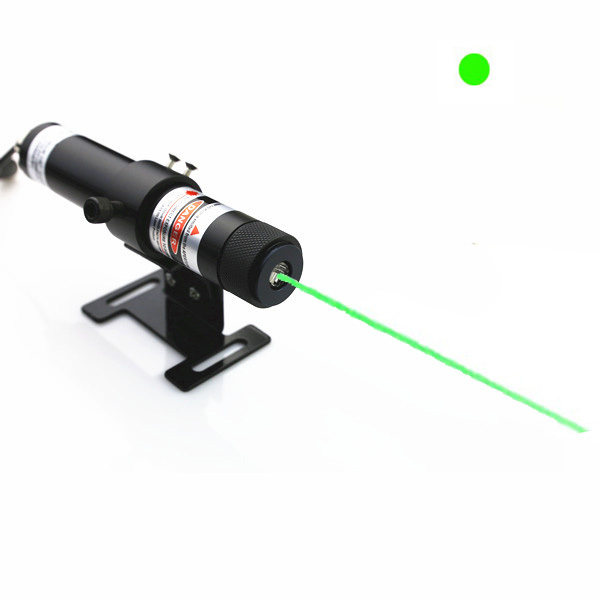 After quite simple roast of laser beam aperture part, highly intense green laser beam is concentrated into a quite small size green dot, which is always able to make sure of super clear dot instruction on all targeting surfaces conveniently. In continuous dot alignment work, high power 200mW green dot laser alignment is taking even higher thermal consumption in long term constant alignment work. It is getting separate part for cooling system, when it is workable for long term dot measuring work, it is always getting superior nice thermal conductivity, and then easily get stable enough dot projection. 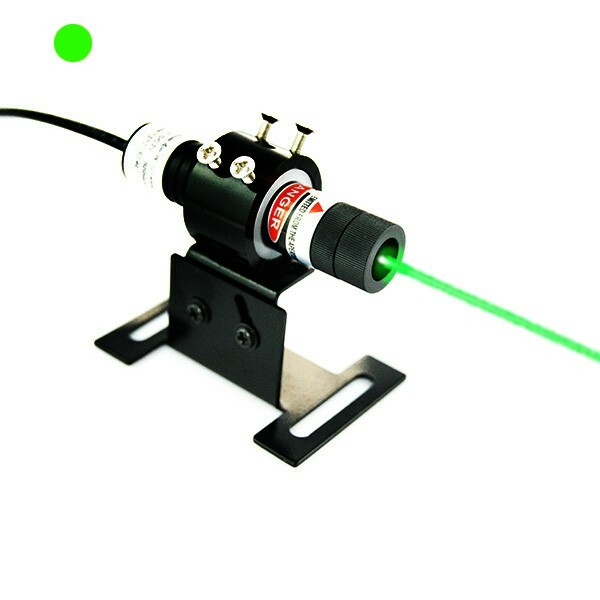 Not being used for formal presentation work, this constant electric power source supported green laser module is always being used as a quite nice laser dot source for high tech fields, including scientific research, lab experiment, laser medical treatment device, and a series of laser tests etc. According to quite small size tube diameter design, high power green laser alignment is able to be installed easily on any other device or equipment, which is able to make sure of no barrier dot instruction for any type of long distance, high height, and other complex working environments etc. Whenever alignment laser dot is freely adjusted within three dimensions, there is always no barrier for users to get clear enough dot targeting on any working surface. When users are wearing proper 532nm wavelength preventing laser safety glasses, no matter what kind of working occasion, this high power alignment laser is always ensuring no danger measurement perfectly. I would have to confess that green dot laser alignment is the best dot measuring solution for all lighting working environment. It is manufactured from the most popular 532nm green DPSS laser tech. 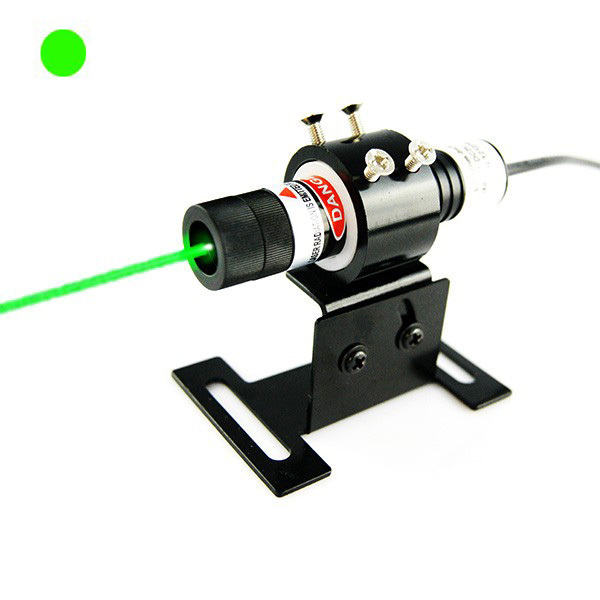 When it is getting extremely high laser beam transmittance, even though this green laser module is selected with very low output power of 5mW, this green laser alignment tool is still efficient enough to keep highly bright and visible green laser beam emission. 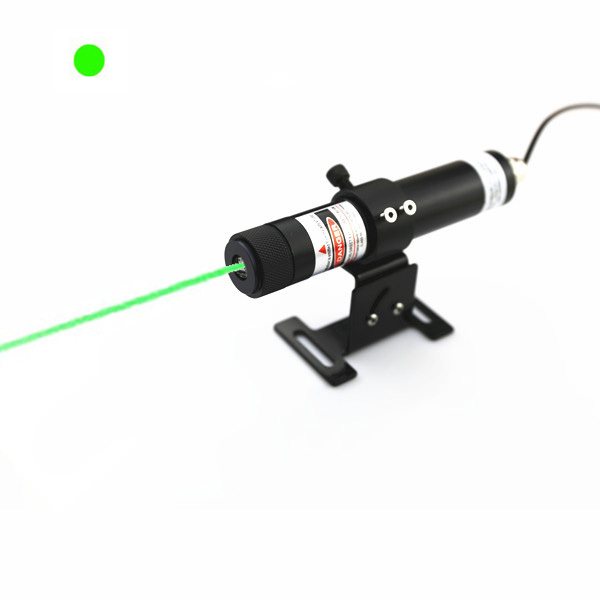 For the most important of all, owing to its low laser beam divergence, green laser dot always keeps its super small size diameter, bringing users quite precise dot positioning in distance clearly and accurately. Before I get the chance to use green dot laser alignment, I only have very little information about a green laser pointer. However, it is far more enough to make very temporary dot measurement with a simple laser pointer, since it is seriously limited by cooling system. Simple air cooling and internal battery power source cannot assure its longer term dot projection. As a result, in order to make green laser dot alignment more workable for those of industrial work fields, this green laser module has been designed with external DC power source. The creation of green dot laser alignment is a real industrial stabilized dot measuring tool. 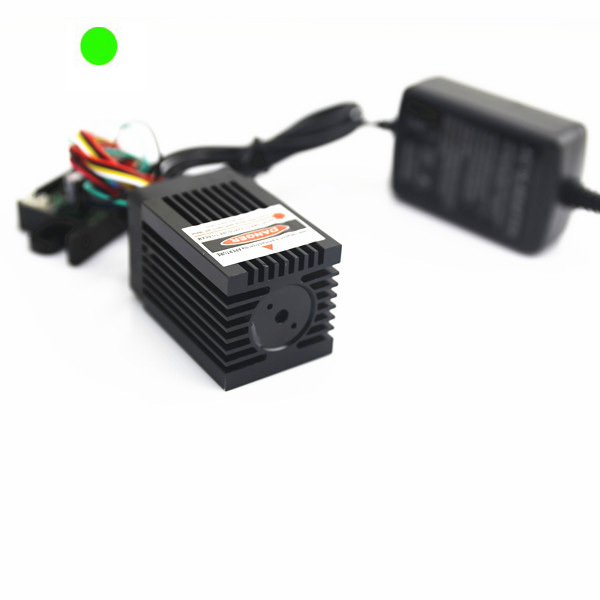 According to its external DC input power supply, green laser module gets even larger space reserving as its metal heat sink cooling system, while it is just efficient enough to support even longer time continuous green laser dot positioning in distance. For the most important of all, the application of green laser alignment is no longer limited for presentation for astronomy stargazing, lab, or other entertainment. It is just the most applicable industrial stabilized alignment laser device, which is getting super wonderful dot alignment for military targeting, laser marking machine, laser engraving machine, button positioning in process of garment making works etc. Among all available dot measuring tools, the genuine experiment of green laser alignment would be its strong environmental stabilization and super convenient operation in all industrial work fields. Sometimes users might be required to make dot targeting out of your hand reaching distance, however, it is just not the problem since it is just perfectly designed with extremely bright laser light emission in distance. This laser diode module gets super high output power of up 100mW. Unless direct laser dot alignment is processed under sunlight, this green laser alignment tool is always making the greatest work for all industrial fields efficiently.